Stripe is a 3.5 year old red brindle female. She completed her AKC championship in May, 2018, in just six shows. She will try to obtain her Grand Championship in 2019. 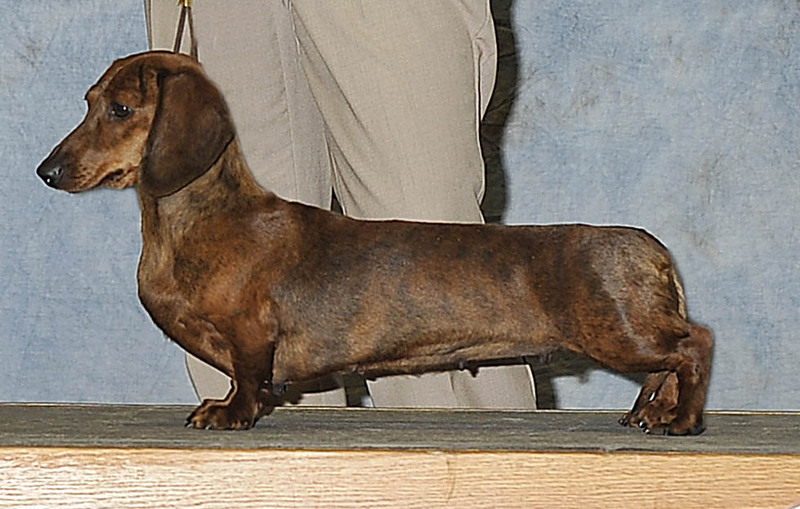 "Starr" is a 5 1/2 year old black and tan dapple female who has acheived the Grand Champion Bronze level. She will have her last litter in the Spring of 2019 using " Boomer" as the sire. Annie is a 3 year old black and tan female. She completed her AKC championship in May 2017. She currently has a litter which Ch Vindachs Sound of Thunder MS sired. Breezy is a 3 year old longhair shaded cream female. She has earned conformation points with all her majors. Hopefully she will earn another point in 2019 for her AKC championship.